Rarely do we witness one of our former Cover Girls get married and be totally fine, even happy, with it. FHM favorite Francine Prieto recently tied the knot with her American boyfriend, Frank Shotkoski, in an intimate ceremony set in the picturesque island of Capri, Italy. We couldn't be more elated for her, especially with how her life unraveled in recent years—Francine put on a few pounds due to stress, and had to mourn over her mom's passing in 2010. If any, she is most deserving of everything good that is happening to her. It seems like it was only yesterday Francine braved two cover stints (November 2003, October 2006), said yes to a calendar appearance (2004), and was included in a tribute feature (FHM Icons inside the magazine's 150th Issue special, January 2013). Blessing us with her radiance for almost a decade, you can say that she's one of our most beloved. Best wishes, dear! And Frank, do take care of our Francine! 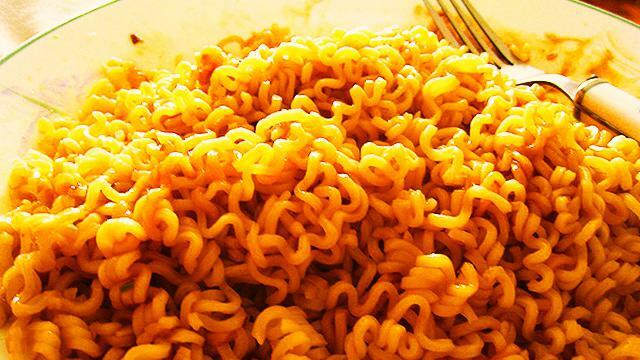 Instant Pancit Canton Wars: Which Noodles Did We Go Gaga Over?